Winter is coming! Are you and your home ready for the cold temperatures? Specifically, are your windows prepared to keep your house comfortable? Instead of waiting until your windows start to crack from the freezing temperatures, you should get a jump on your replacement. 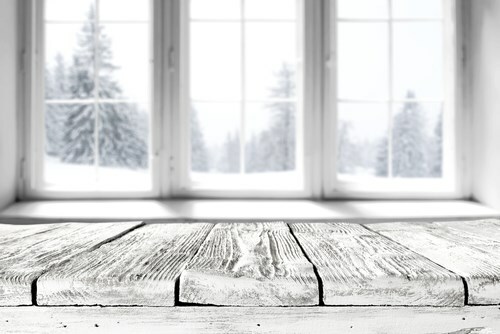 There are many advantages to installing replacement windows in the winter, and though there are also challenges, experienced installers know the tips and tricks to get the job done right. Why Should I Replace my Windows this Winter? Immediate Energy Savings: New and improved replacement windows minimize energy loss, so you can start to see savings on your energy bills right away instead of wasting money throughout the winter. More Availability with Installers: The winter months are typically slow months for window installers, so you should find that you have more options in terms of availability. Winter Sales and Specials: In an effort to increase business this winter, many companies offer significant savings and sales on their windows and installation services. Quick Project Turnarounds: For homeowners who want to order customized windows, the process as a whole is usually faster than installing windows in the busy months. If time, money, and a comfortable home are your biggest priorities, then you shouldn’t put off your window installation any longer. Though the winter months bring about their own unique challenges, many window replacement specialists have taken the time to develop special installation methods for the cold weather. In fact, their experience has helped them to come up with several tips and tricks that can make the process as simple as possible. You need to hire a professional window installer who takes their time to prepare for your winter window installation. This means preventing heat loss by working on one window at a time, keeping doors in the house closed, and bringing tarps to reduce the amount of water and mud tracked in your home. While those preparations are all on the installers, it would benefit you and the contractors greatly if you took the time to clear their work area of snowfall. By cleaning the windows and yard space around the windows, you can help simplify and speed up the installation process. You should also purchase some salt for your sidewalk to make it safer for the workers. If you want to know more about winter installation methods and how you can help the installers get the job done quickly, you should reach out to EcoView Windows & Doors right away. You can call to ask about our winter installation methods, or we can provide you with some of our winter specials after you take a moment to submit your project details through our online quote form.